"Jesus is the Son of God." Six simple words. They are much more than simple words, however; they are the doorway that opens our heart to God. So tonight, as you confess Jesus as God's Son, consciously and intentionally welcome God into your heart. The Father lives in the person who confesses the Son! Father, I want to live my life and center my heart in you. 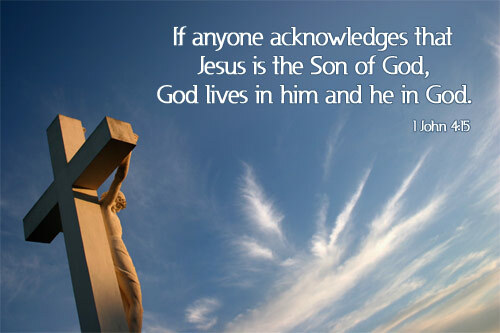 I gladly confess that Jesus is the Son of God, my Lord, and my Savior. I praise and thank you in the name of Jesus Christ. Amen.